Episode 223 for the week of October 29, 2017, in which we cover The Sons of the Dragons AKA Maegor’s Bad Balls. 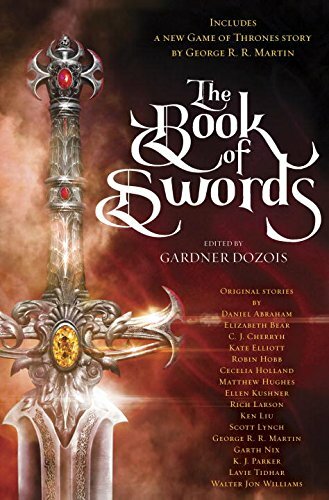 The four podcast hosts reunite to provide a spoiler full review of George RR Martin’s contribution to the The Book of Swords anthology. Notes: Check out the podcast episode Kyle narrated. It’s a new short story, so I was hoping for it. I wasn’t too surprised, because I’m a believer. But yes, it’s indeed the full crew! Mimi AND Ashley on the same episode? What is this??? Awesome!